When you stay at Retro Boy Coffee in Yuni, you'll be within a 5-minute drive of Yuni Garden. The front desk is staffed during limited hours. Free self parking is available onsite. With a stay at this vacation home in Kyoto (Central Kyoto), you'll be within a 10-minute drive of Nijo Castle and Higashi Honganji Temple. 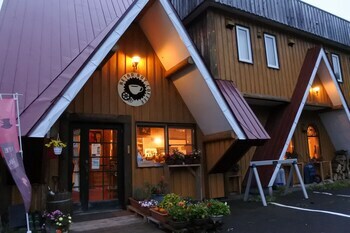 Located in Kutchan, Kiseki is convenient to Niseko Mountain Resort Grand Hirafu and Niseko Village. Free self parking is available onsite.